NBC's New York Midseason Press Junket took place today(January 24th) at the Four Seasons Hotel in New York City. 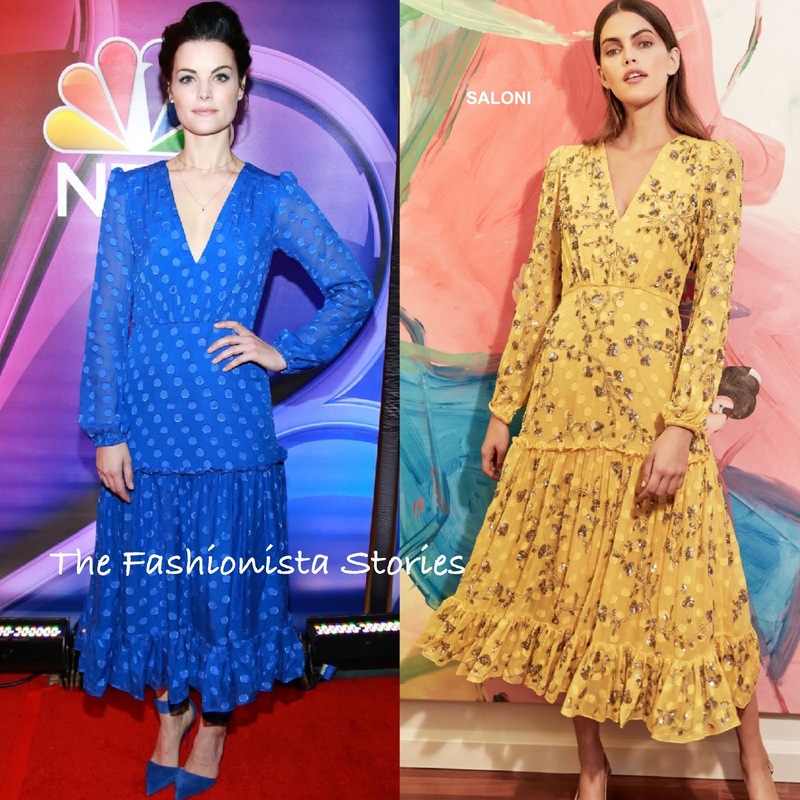 Jaimie Alexander was on hand representing her show the 'Blindspot', wearing the SALONI FALL 2018 'Devon' long sleeve electric blue dotted, ruffle pleated midi dress. She matched her dress perfectly with suede, ankle strap pumps. 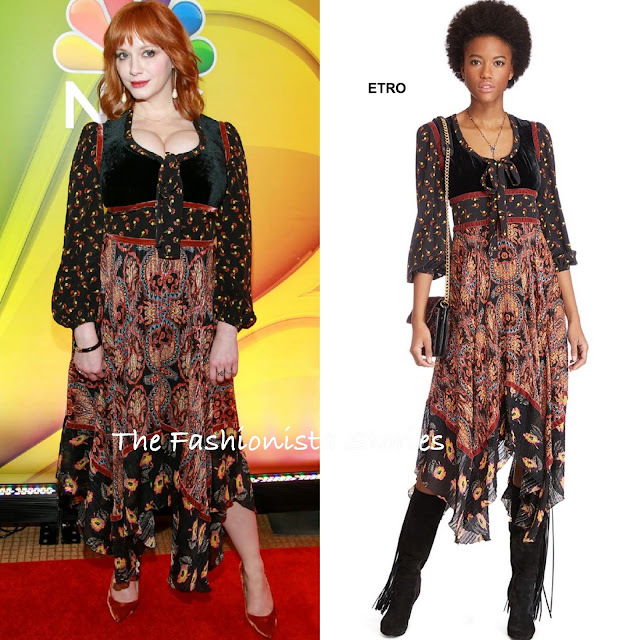 Christina Hendricks served up major cleavage action wearing a ETRO FALL 2018 printed long sleeve silk asymmetrical dress, featuring velvet inserts and a ribbon neckline. 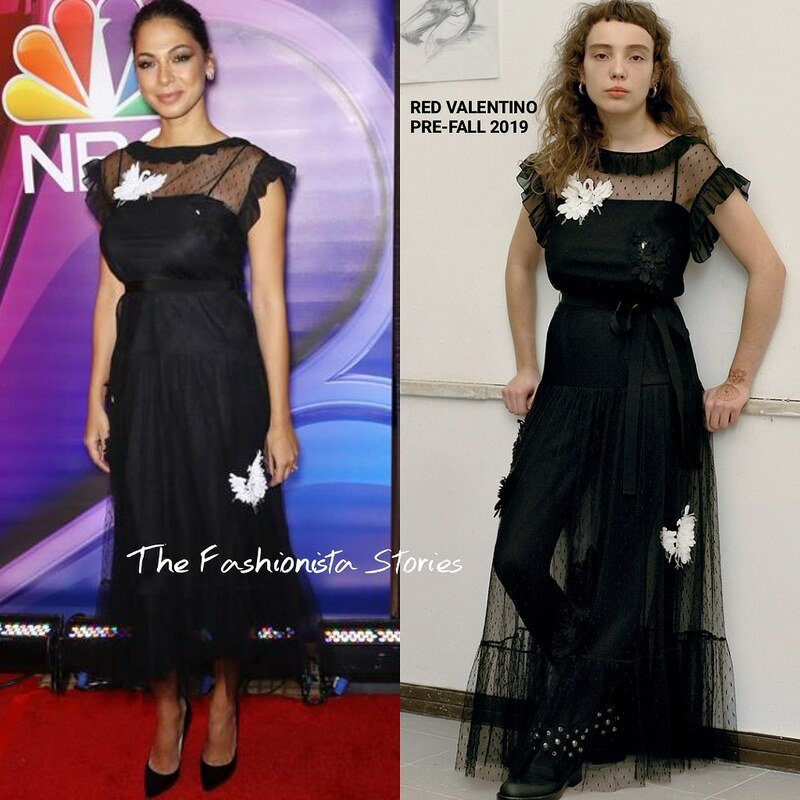 If this looks familiar, that's because Tika Sumpter wore it in October 2018. Moran Atias stepped out in a RED VALENTINO PRE-FALL 2019 black semi-sheer, lace dotted dress, featuring ruffle panels, a tie waist and white embroidered birds. While the dress was toughen up with boots in the look book, Moran opted for simple black pumps which suited her.